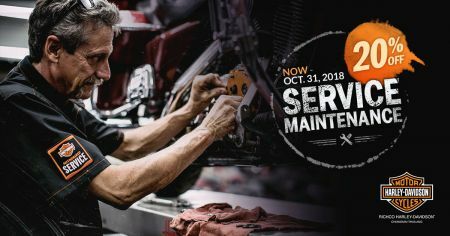 20% OFF Parts and Accessories until October 31, 2018 so book your service maintenance appointment today! The colder season is coming so prepare your motorcycles before the winter ride. Visit us at Richco Harley-Davidson or message us.